When we go back far enough in our genealogy and family history research, most of us will find ancestors — women and men — who labored as farmers. This Labor Day column explores a number of the diverse occupations followed by my ancestors, some quite surprising when I first learned of them. America is indeed the land of opportunity as seen in the changing careers down the generations. 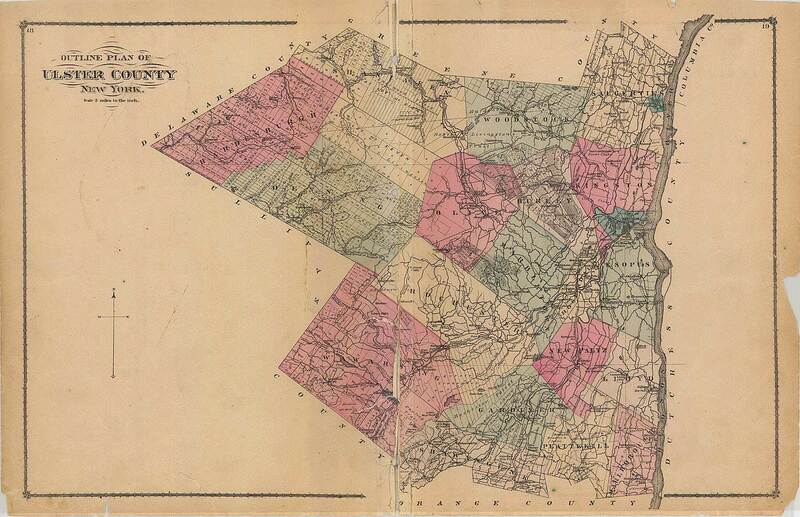 My ancestor Caleb Church and his wife Hannah Baker lived in New Paltz, Ulster County, New York, where he was a farmer and cooper and she was a wife, mother of 10 and a Quaker preacher. Hannah, who lived from 1775 to 1843, is one of the first women in my family tree with a career that took her outside the home. Caleb also was his own lawyer, according to Descendants of Richard Church of Plymouth, Mass. 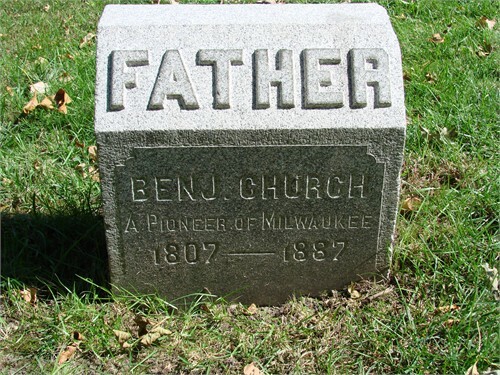 Their son Benjamin F. Church, my ancestor, went west to Chicago and then in 1835 to Milwaukee, Wisconsin, where he was a pioneer carpenter and builder. He was the “boss carpenter” for one of the first hotels in the nascent city and his Greek revival family home has been preserved as the Benjamin Church House or Kilbourntown House, a museum of pioneer life in southeast Wisconsin. My Bruce ancestors, surname orginally Bruss, came to Milwaukee, Wisconsin, in 1839 from the Baltic port city of Cammin, Kreis Cammin, Pomerania. The traditional male occupation was ship building and ship caulking, with the young men sailors until they married and settled down. Martin Friedrich Bruss and his sons Augustus, Martin and John all followed the family tradition, the first two in Milwaukee, son Martin near Pensacola, Florida, and John in San Francisco. By the next generation, the sons of Augustus Bruce had careers in publishing (William George Bruce), tanning company executive (Albert J. Bruce), postal delivery (Augustus I. Bruce), and accounting and later Milwaukee Athletic Club secretary (Martin P. Bruce). The daughter of Martin P. Bruce and his wife Grace Booth Bruce was a teacher while their son was an attorney, both in Milwaukee. An entrepreneurial tradition is found in my Bradley ancestors, starting with Aaron Bradley who enlisted twice during the Revolutionary War, then married Lorain Abernethy and two sons, two daughters and several different businesses. He was a blacksmith first, then added a tavern and grocery store at his location in Bradleyville or Bantam, Town of Litchfield, Litchfield County, Connecticut. I imagine it was a very busy place with farmers bringing oxen and horses for shoeing or tea kettles needing new bails or handles; travellers on the post road stopping for a meal and a drink; and students from Sarah Pierce’s Litchfield Female Academy and from the Litchfield law school coming to Mr. Bradley’s for a bit of entertainment. He also had a nail factory, Aron Bradley & Co., as shown by a 1798 ad, and was a selectman and a representative to the Connecticut Assembly. Aaron’s great-grandson Sherman Abernethy Bradley came to Milwaukee in the late 1850s, appearing in public records first in the 1857-1858 Milwaukee Directory, listed as a carpenter. He later launched the Badger Pump Company of which he was the proprietor, pumps in those days made of wood. Then for a time he was co-owner of the Brockhaus & Bradley planing mill, and continued in the timber and lumber business throughout his life. One of Sherman’s grandsons was a banker and while his two great-grandsons had fine careers, one as an attorney and the other as an executive of the Wisconsin Telephone Company. Two of his great-great-granddaughters have had careers in public relations. My Hachez ancestors came to New Holstein, Wisconsin, in 1854 from Bremen, Germany, where men of the Hachez family had been merchants for several generations. Even today the Hachez chocolate factory is an important feature of the City of Bremen. Ferdinand Hermann Hachez at first pursued farming as that was the natural occupation in New Holstein, a rural area between Lake Winnebago and Lake Michigan. He served as president of the German Agricultural Society there in 1867. However, in 1870, Ferdinand Hachez Sr. and several other New Holstein men founded the Mutual Hail Insurance Company of Wisconsin and he became an insurance salesman. His son Ferdinand Hachez saw an opportunity when the railroad came to New Holstein in 1872. He left farming and for two decades operated the Farmer’s and Mechanics Saloon at the east end of the village of New Holstein, not far from the railroad station. Later, when grandchildren were born, he and wife Elise Boie Hachez returned to farming.